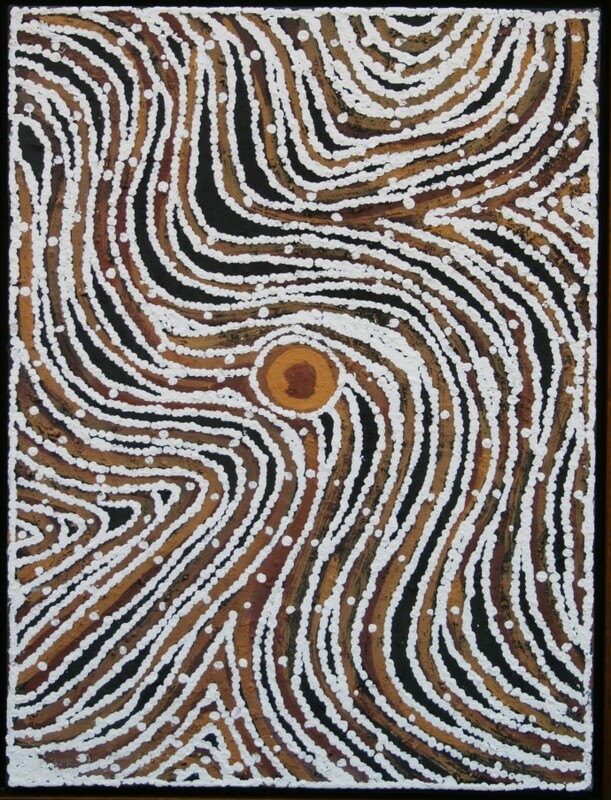 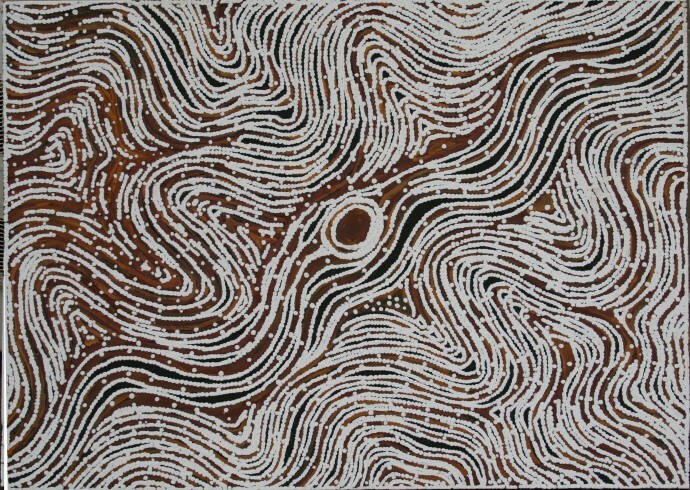 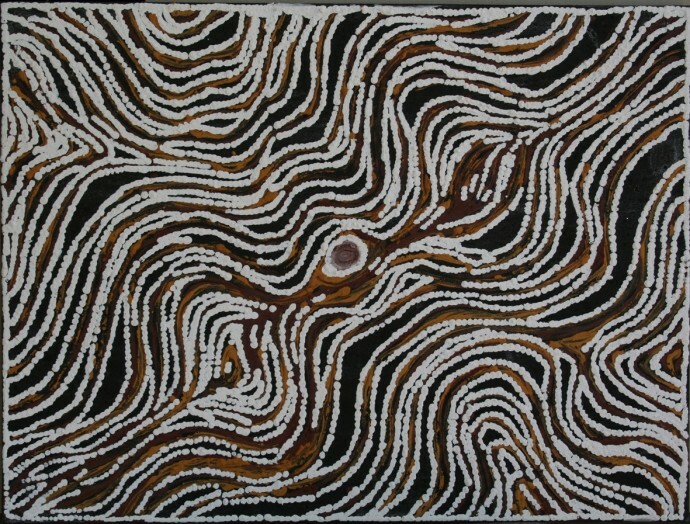 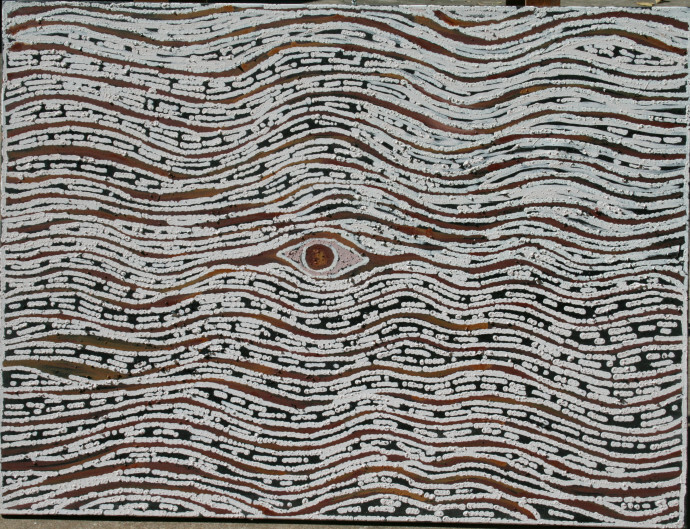 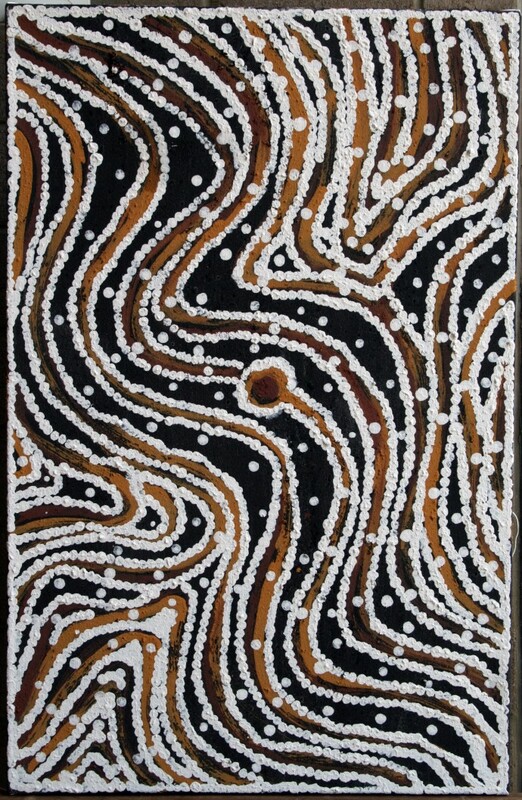 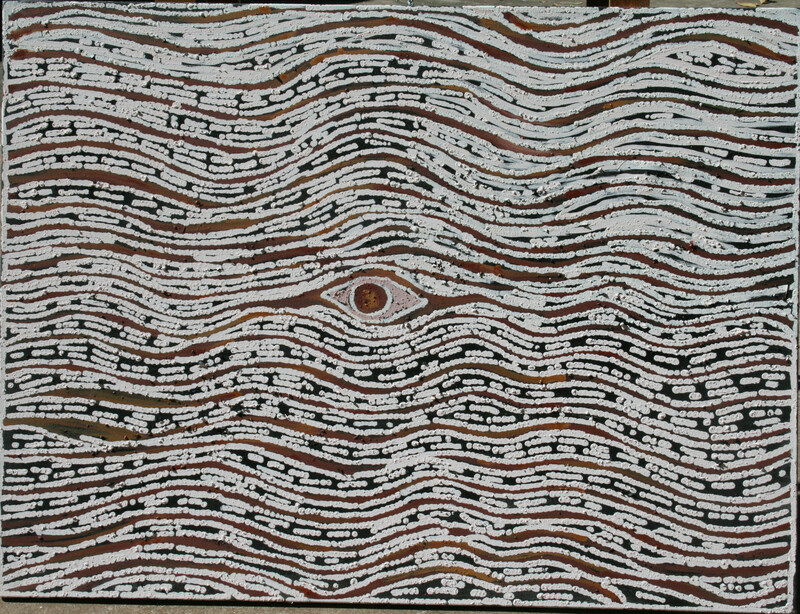 Kwilla is one of the most exciting and accomplished of the new generation of Aboriginal artists. 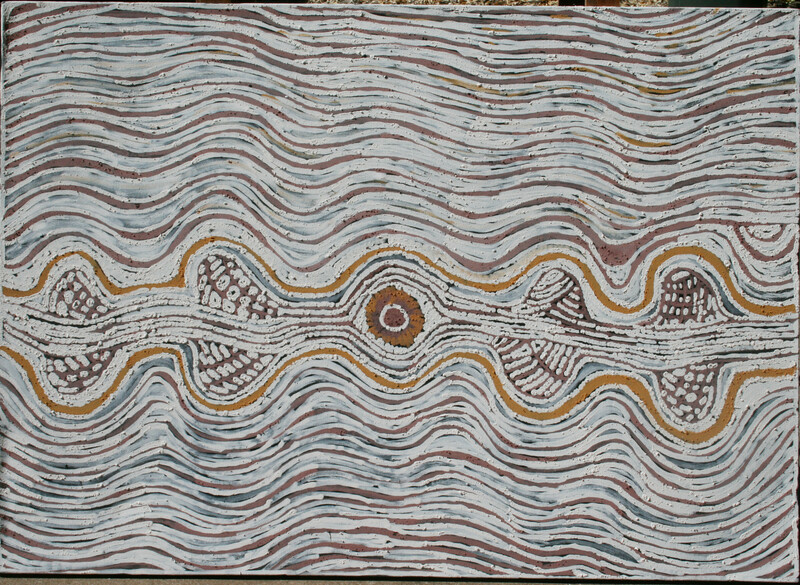 The son of senior Wangkajunga law-man and prize-winning painter Billy Thomas, he is steeped in both the traditions and the art of his ancestral lands. 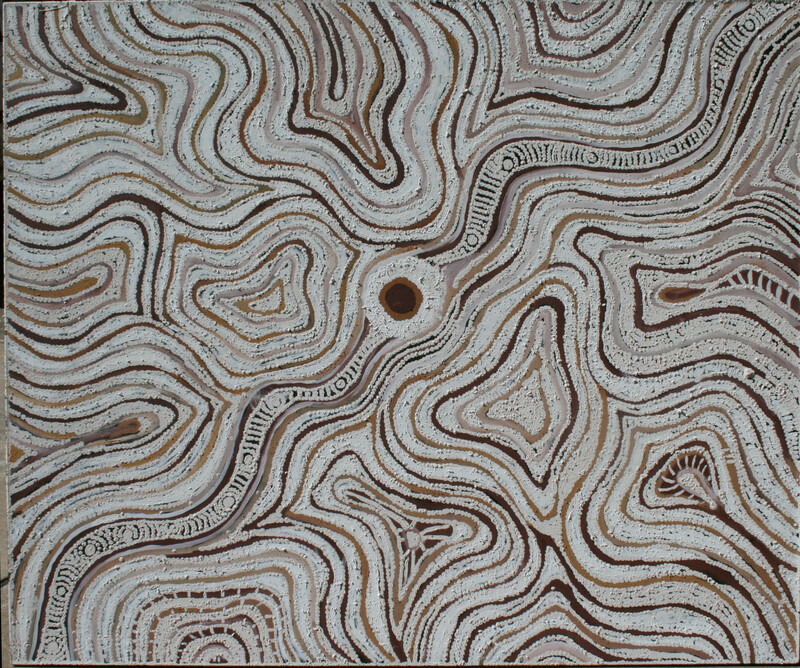 Born in 1980 at Derby in the Kimberley region of Western Australia, Kwilla grew up at Christmas Creek Station and its nearby community of Wangkajunga on the northern edge of the Great Sandy Desert. 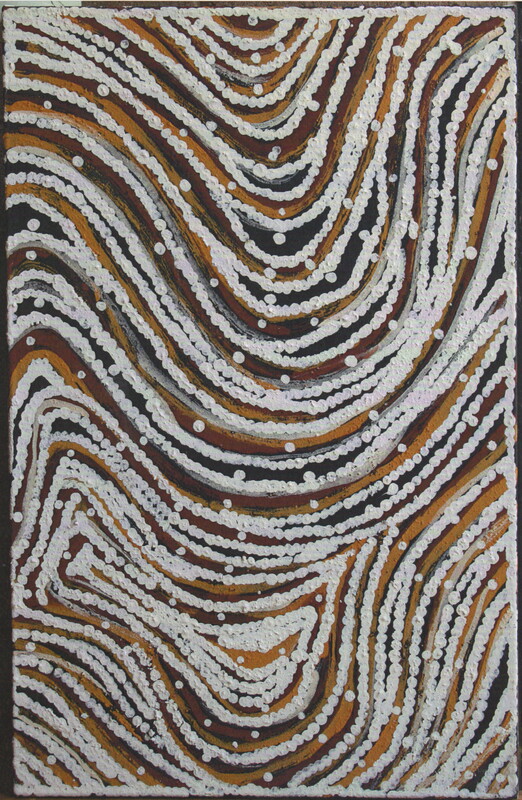 It is land of mountain ranges, sandhills, rockholes and wide desert horizons. It is also a land with a rich artistic tradition. 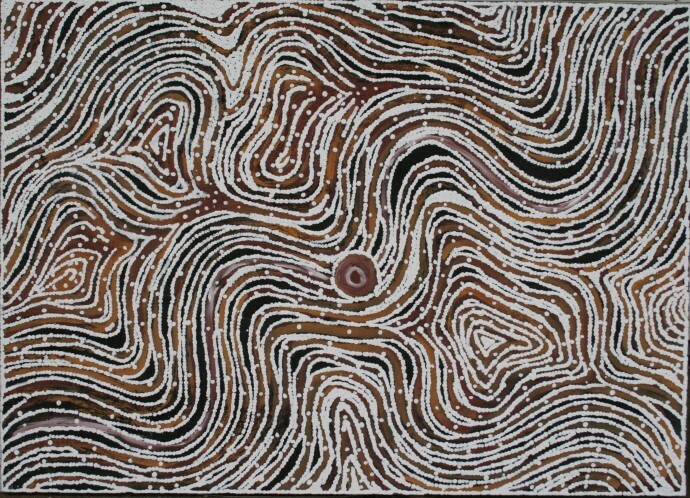 Some of the greatest artists of the Aboriginal Art movement have come from this area in Australia. They include Rover Thomas (who represented Australia at the Venice Biennale in 1990), Queenie McKenzie, Freddie Tims and Kwilla’s father Billy Thomas. 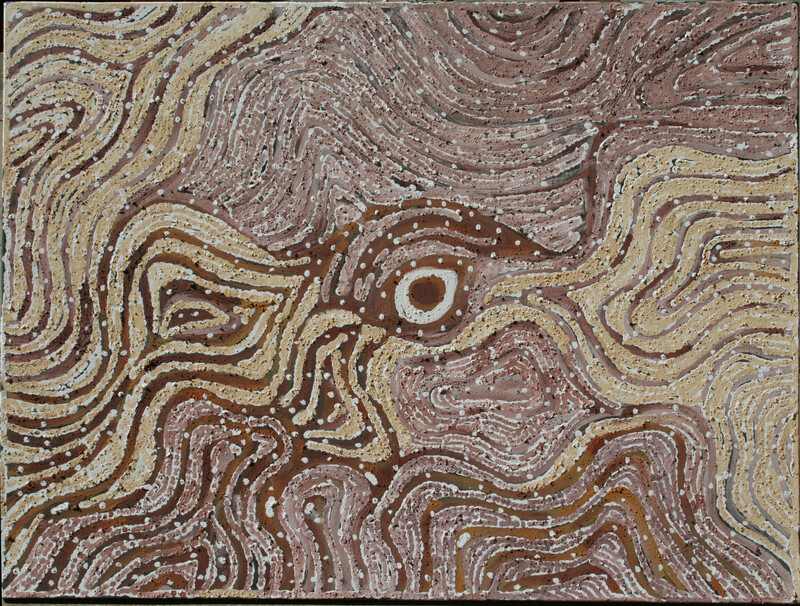 All have worked using the wide variety of local ochres – natural pigments ranging from brilliant pink to powder blue across a spectrum of browns, blacks and whites. 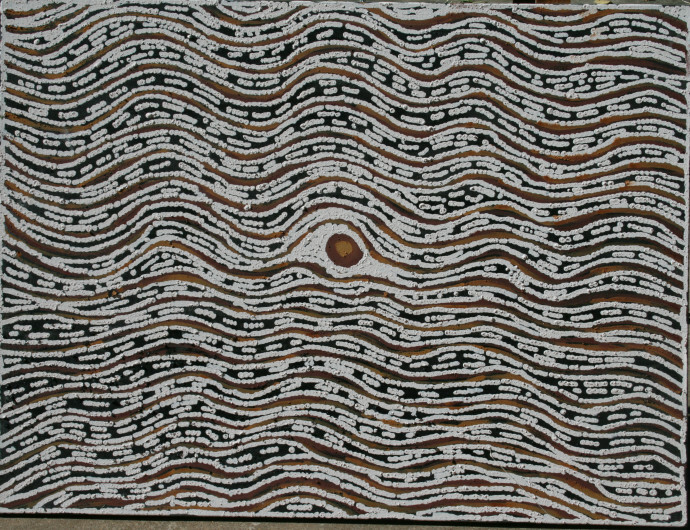 Kwilla is the heir to this tradition. 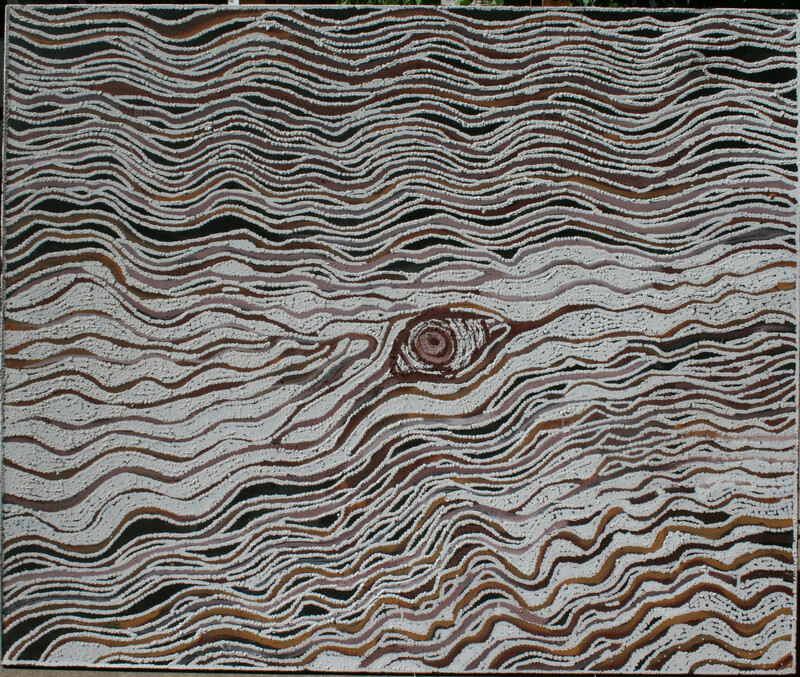 His work displays the same arresting combination of formal austerity and sensual richness, coupled with a highly personal vision. 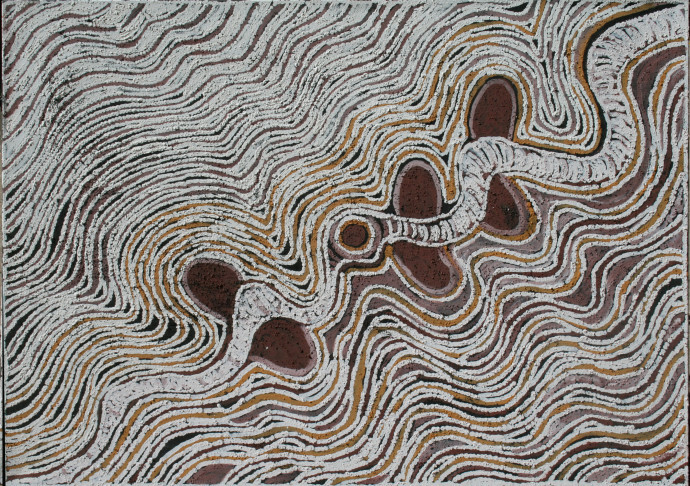 Using the actual earth as his medium, Kwilla’s images define the contours of the land, charting its shapes and recording it’s histories. 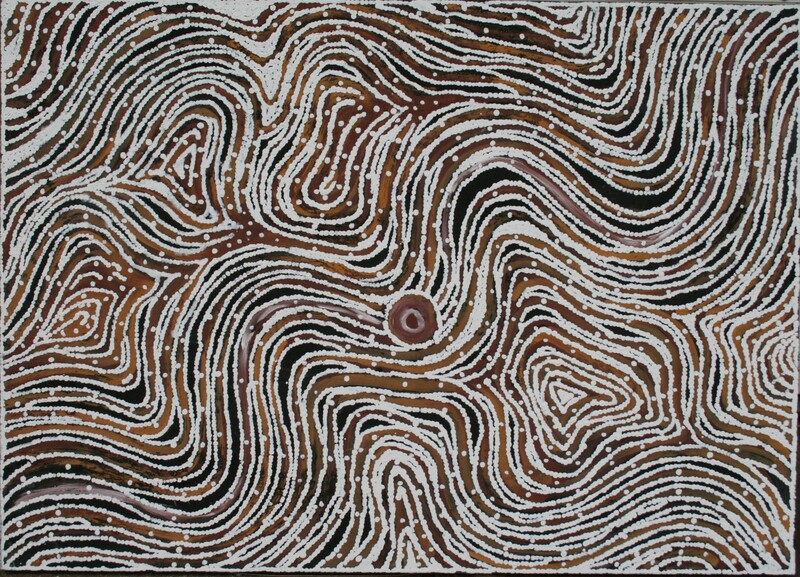 They are pictures of real power and accomplishment. Following a sell-out exhibition in Darwin at the Telstra Aboriginal Art Awards in 2007 and in Melbourne and Adelaide, Kwilla’s exhibition at the Rebecca Hossack Art Gallery marks his international debut. 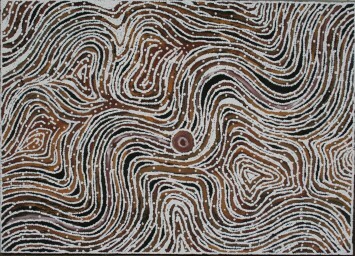 He will be in London for the opening of the show.